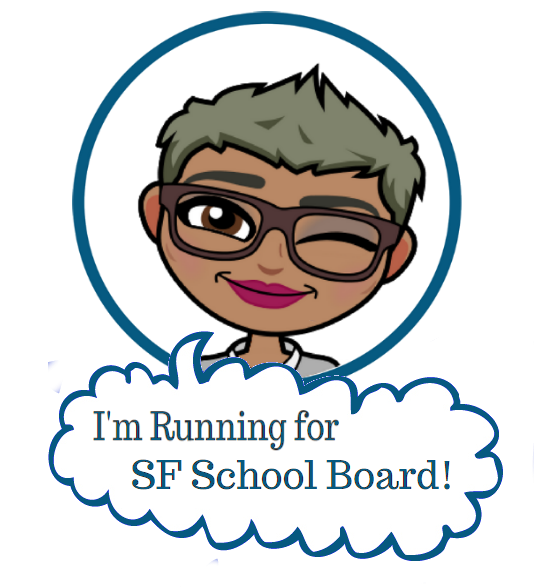 I want to give a shout out to a fellow SF mom and public education advocate, who shared with me the info about Cal Day and inspired this post. Thanks, Emily! My girls love to talk about the future. They have told me the professions they’ll try, the places they’ll live and even at times, the people they might want to marry… (gulp!) That said, when they started talking about college in first grade, I was a bit taken aback. I mean, what do they know about college? Well, it turns out there was a conversation going on in their first grade class about what schools their friends were planning to go on to after elementary school. For example: what middle school, high school, etc. I guess this started a conversation of what colleges would be next. 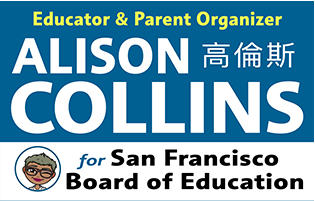 Though I shouldn’t have been surprised, I was a bit astonished when they stated that SF City College was at the top of their list. Now don’t get me wrong, I LOVE City College and think it’s an amazing institution. I could go on and on about how important city colleges are to our education system and the service they provide not only in helping student access higher education, but also to our communities at large. That said, city colleges do not provide masters’ degrees, do research, or offer the wide range of options that our universities have to offer. Limiting your vision to just one small subset of schools seemed a bit premature at the early age of 7! That’s why even at an early age, I started bringing my girls on college visits just for fun. I wanted them to have many places in their mind to reference when we talked about all the “places they’d go” in their future. I know this is important from my work in building college- and career-going culture in schools in urban low-income public schools. Talking about college (or “College talk”) is a big factor that gives students of middle and higher income families an advantage over their working class peers. I remember visiting my father at UCLA where he worked as a professor and seeing all the buildings, laws and architecture. This experience gave me the understanding at a very young age that universities were a place where students could learn about big ideas in psychology, art and engineering. When I got to high school, it was a no-brainer that I’d eventually apply to college, the only question was where and… would I get in? When I became a teacher, I found many of the students, who did not have professional parents had different expectations. 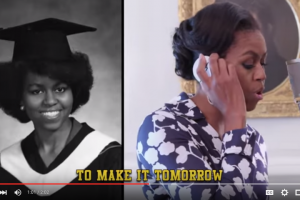 They came from families that worked hard and had big dreams for their kids (just as my parents did.) Nonetheless, their parents, many of whom worked in manual labor or service type jobs, may not have had as many opportunities to share day-to-day experiences to help their kids see connections between learning in school and career dreams. Many of my high school students didn’t know you had to do well in science to be accepted into a medical school, or that it took extended study (in the form of a Masters’ Degree) to be able to practice law, or medicine or be a teacher. These experiences have shown me that college visits, even at a young age are important. They are a great way to have fun as a family while exploring future possibilities and celebrating a love of learning. So that’s why I’m sharing information about UC Berkeley’s Cal Day 2015 on April 18. If you live in the Bay Area this is a great opportunity to learn more about a great University of California (UC) school. And what better way to spend a beautiful Northern California spring day, than to spend it with your children fostering in them the belief that their future is wide open! The information below comes from the UC Berkeley website. See video and info below and click the title to learn more! UC Berkeley’s Cal Day 2015 features tons of fun for kids and families! Introduce your family to the wide world of Berkeley. Watch dancers move and groove, hear the boom of the Cal band, hug a robot and get some hands-on science experience. CalDay will light up their minds. 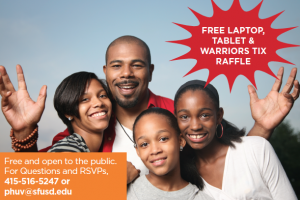 No advance registration is required to attend Cal Day – just show up! Help build a city and learn how cities are planned, or unplanned; what makes a quality city; and how citizens (yes, kids too!) can participate in the improvement of the built environment. Parent or guardian supervision is required. Hosted by College of Environmental Design student organizations. Visit the Essig Museum’s fabulous collection of insects! Talk with entomologists and learn about insect research at UC Berkeley. Do you love science, animals and collections? Drop by for a rare, behind-the-scenes peek at the specimens and research of the century-old Museum of Vertebrate Zoology. Interact with our scientists; see local, exotic and extinct species; participate in a scavenger hunt; and learn what natural history museums are all about! Get your Science@Cal passport stamped here! How can students in grades 6–8 begin preparing for college? How can parents and families support them on their educational journey? Get answers here. Robot Learning Lab: A Robot that Folds Laundry, High-Fives, and Hugs! The Robot Learning Lab conducts research on artificial intelligence techniques to make robots perform challenging tasks. Come meet the first general-purpose robot able to fold laundry and give you a hug as well! Who says you can’t see stars in the Bay Area?! Learn from astronomy graduate students about the astronomical objects, mythology and history behind the constellations visible in the spring. We’ll feature continuous, 15-minute shows. Click this link to see MANY MORE events and for more info! What do you think? You don’t have to go to a college or university event to do a college visit? Which colleges do you like to take your kids to? What activities do you like to do there? Is Education Killing our Kids’ Creativity? Are our schools cultivating or killing our kids creativity? 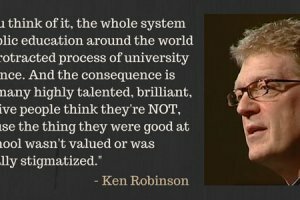 Ken Robinson shares some thoughts. I’m a HUGE fan of visiting colleges for kids even at a young age (and talking about college in general). My five-year-old has already talked about going to college, asking me whether I would still be checking his homework at that age lol. And since all three of my kiddos were babies, we’d take them to campuses (we live near four of them) but especially UCLA and USC, our alma maters (go figure they had to be rivals, although at least my husband went to both so he still has some Bruin blood in him 🙂 ). That is so awesome! My dad used to be a professor at UCLA and both my parents went to USC. Great schools, both!